My Second Game Jam….about chairs? My weird 2nd game jam, and why I joined it. Now that the competition was off, I decided to create a game in Unity. 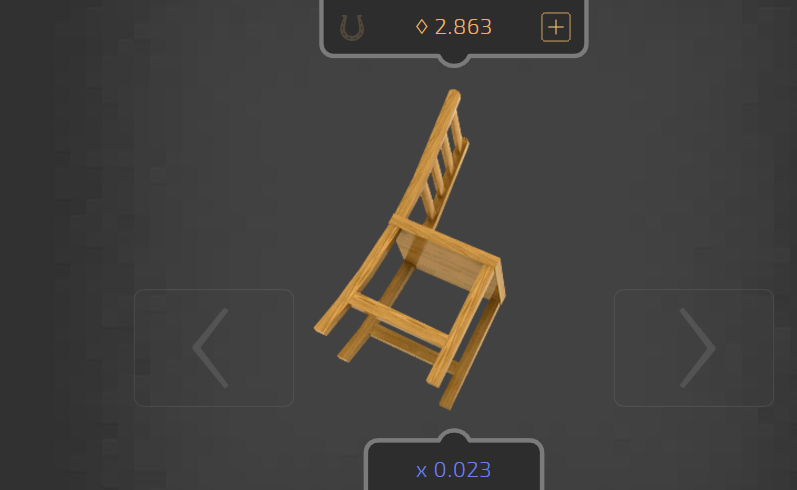 Unity would give me flexibility over what I could do with the chair. Next, I chose background music for the game. I wanted it to be really whimsical and funny, so I chose Scheming Weasel. The version I used was a little faster than the original, but that was good because I liked this version better. 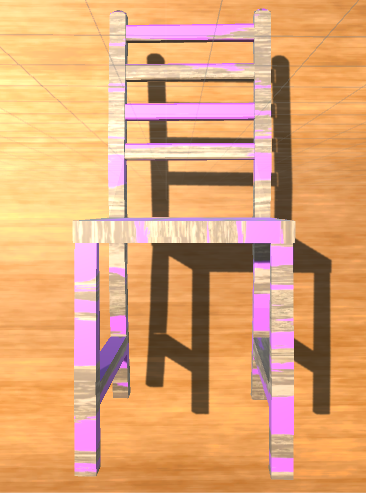 Next, I needed to place and texture the chair. I decided to use a asset pack by mezanix on the asset store. 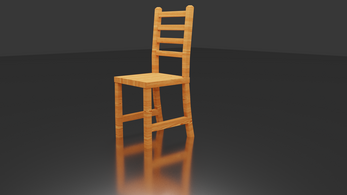 Then, I created a wall behind the chair with a different wood texture, but still one from the asset pack. Something was missing. That was when I made everything on the screen spin! Now that that was done, I recorded sound effects from me, and both of my sisters. After an hour of development, the game was done! I shipped it off to itch.io and submitted my game into the jam! There were 5 entries in the jam, and overall, I got 4th place in the jam! Looking at the criteria, I can see what I did well, and what I can improve on. I was pretty decent, and it was my best score being rank #2. 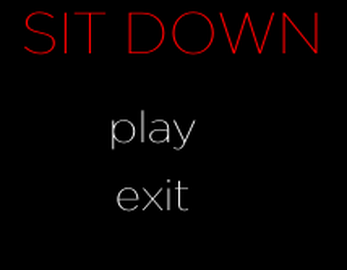 The game that was #1 in sound, was a game called “Sit Down” by Dwyn Jorl. 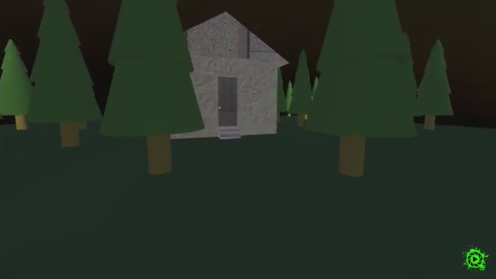 This game, is a horror game, where you walk towards safety inside of a house before nightfall. When walking, you come across some great sound effects to help the creepy atmosphere. Finally, inside is where the sound really shines. You walk in the house, and see a chair facing a static TV. 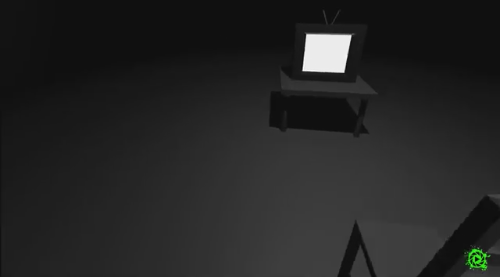 Static TV, with empty chair facing towards it. The sound of your footsteps really blend with the sound of the TV. Great job Dwyn Jorl! This criteria (I think) means the importance of the chair in the game, and/or how many chairs there are. 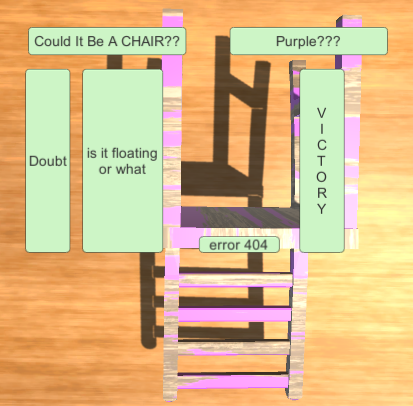 The top rank here, was a game called “Chair Clicker” by glasm. This game is in the “clicker” genre (Cookie Clicker, Clicker Heroes, ect. This clicker is just like many, you click the chair, upgrade the chair, click the chair. Because of it’s influence, with the chair being the main part of the game, it deserves #1 in the chair category. Getting #4 in graphics definitely means I could have improved. Maybe the voters wanted less simplicity? The top of this category was Chair Clicker. I got the lowest score in Gameplay compared to the other games. Because of my game just being a glorified audio soundboard, I can see why this happened. The top of this category was Chair Clicker. Looking at all the scores, I am piecing together what I can do to make future games better! Congratulations to the makers of all the games in the jam! If you want to check out the game, click here! A new coder, jumping into the land of HTML. A collection of my writing about coding, publishing, and more!